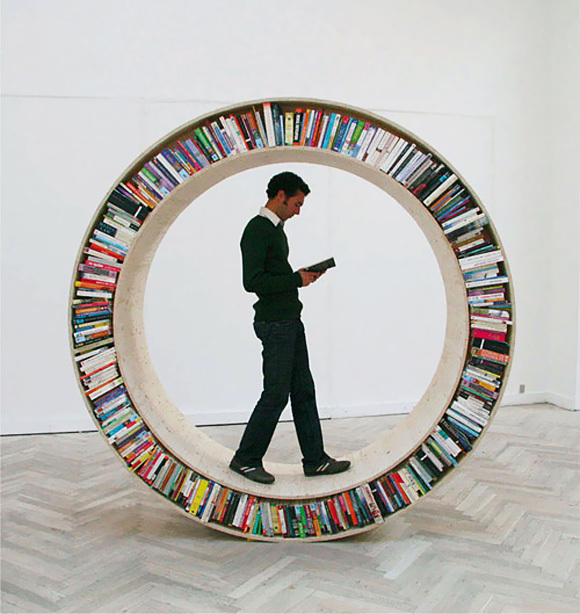 The Circular Walking Bookshelf is part of the Archive Series by David Garcia. The Archive Series are investigations on space and books. Its departure point is density and micro spaces, and a series of traditional relationships that humans have to books. The Curcular Walking Bookshelf known as Archive II is owned and on exhibition at the University of Roskilde Main Library. what a cool walking bookshelf, you are an awesome genius of modern design do you have more stuff like this ?